2017 Ford F-250 Super Duty: Here's The First Real Picture! 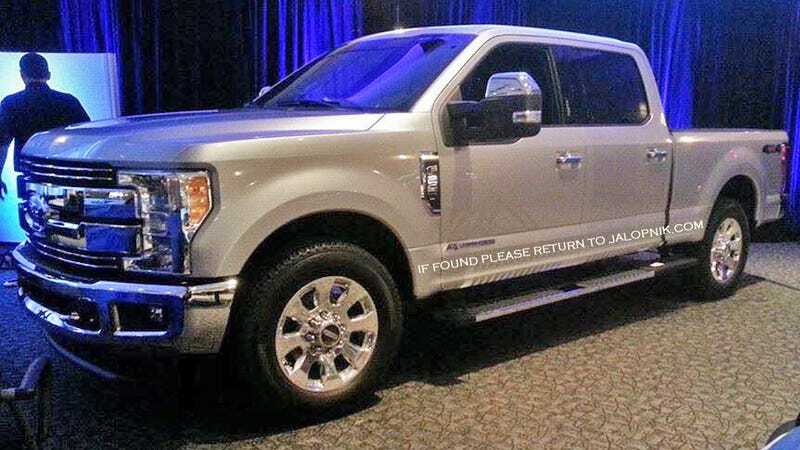 Here it is in all its naked glory: the next Ford Super Duty pickup truck. This is what the 2017 Ford F-250, F-350, and F-450 will look like. What do you think? This picture came to us with no context or information, so no news on power, equipment, or capability. But Ford recently tuned up their 6.7 Power Stroke diesel and still offers the 6.2 gasoline V8, those powerplants will probably see duty in the new truck. It's also been confirmed that Ford's next Super Duty (this one pictured here) will have an aluminum body just like the 2015 F-150. As for Ford's official response... you guessed it, all they're saying is "We do not speculate about future products."